It’s not until you come out the other side of a world-class food photography course that you’re truly able to understand how much more there is to the subject that you realised. You went in making the same mistakes as every other amateur food photographer in the world, only to come out with the skills and knowledge necessary to go pro. 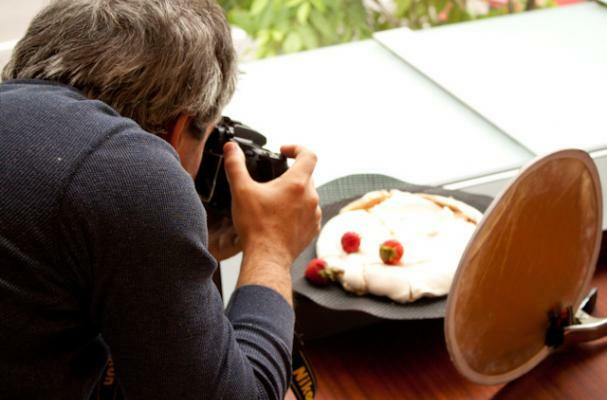 But as it’s highly rare for anyone without the intention of going pro to even consider attending a high-end food photography course, those in need of such services have little choice but to call in the pros. In terms of making the right choice when it comes to hiring a food photographer, the process doesn’t necessarily have to be a difficult one. You may not know all the ins and outs of the subject yourself, but it’s nonetheless possible to ensure that the provider you choose is indeed the very best on the market for the job at hand. First and foremost, there’s really only one reason why a photographer of any kind would not be happy to share a large and inspiring portfolio of work with prospective clients. Suffice to say it’s not the kind of reason that bodes well with the outcome for the client either, which is why this should always be the very first check you make. After all, it’s one thing to sing your own praises and tell the world what you can do, but it’s another entirely to produce the evidence to back such claims. It should be pretty clear when looking across the pages of the brand’s website whether or not they are in fact genuinely passionate about what they do. Why would anyone without real passion get into such a business area? Well, it all comes down to the fact that in a technical sense, anyone with a camera and a WordPress site can pretend to be a quality photographer. Nevertheless, these aren’t the types it’s really ever worth investing any money in as what you’ll get out of the deal is a rather expensive serving of disappointment. If it’s not clear by what’s on display that they’re both committed to and passionate about what they do, proceed with extreme caution. There are two things you need to be looking into when it comes to track records – one being the time they’ve been in business and the other being their accomplishments. Ideally, you should be looking to hire a photographer that’s not only been in business for quite some time, but has also amassed an impressive list of clients and customers served. From influential brands to household names and really anything else that illustrates their prowess, a strong track record is a must. At the other end of the scale, those with very little experience and no apparent client following to speak of tend to represent far riskier choices. Any reputable photographer will go far further than offering the standard money-back guarantees expected with most purchases these days. Instead, they’ll promise to deliver nothing less than an outstanding service package from start to finish where each shot is equally flawless and no filler is allowed to creep into the equation at any time. The simple fact of the matter is that when you pay for a professional, you expect 100% of their professionalism to be put into 100% of the images they take and produce. Anything less is simply unacceptable. Last but not least, over and above the affiliation with other brands and businesses as mentioned above, it’s important to ensure that those who have worked with the photographer were happy with both the service and the outcome. The only realistic way of making this so is mercifully simple – look at the examples of feedback and the reviews submitted by clients and shared by the photographer. It’s here that you’ll find out everything from what it was like to work with them right through to the quality of the results they produced. And if the project is one of importance, there’s nothing to say a new client cannot ask to be put in touch with a former client to ask a few direct questions about the quality of service. After all, just because they have worked for or with a bunch of high-end brands doesn’t necessarily mean then did a good job for them – beware of taking anything like this for granted.